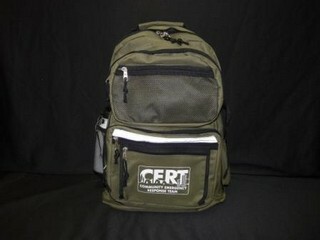 This High Quality mid size green TEEN CERT backpack is great for any kit. Large roomy main compartment. Measures a generous 18x13x7. Unique vertical reflective safety stripe. Has two large zippers front pockets for quick access to needed supplies. Lower pocket includes and organizer. Mesh (water bottle) pockets on both sides. Adjustable padded curved shoulder straps. 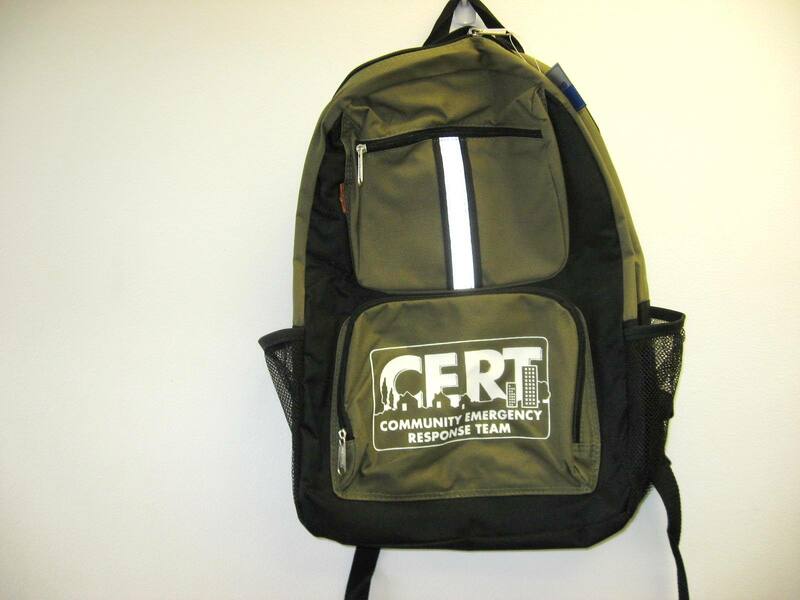 For a more featured and larger TEEN CERT backpack see the MI-2035-TEEN related item below. 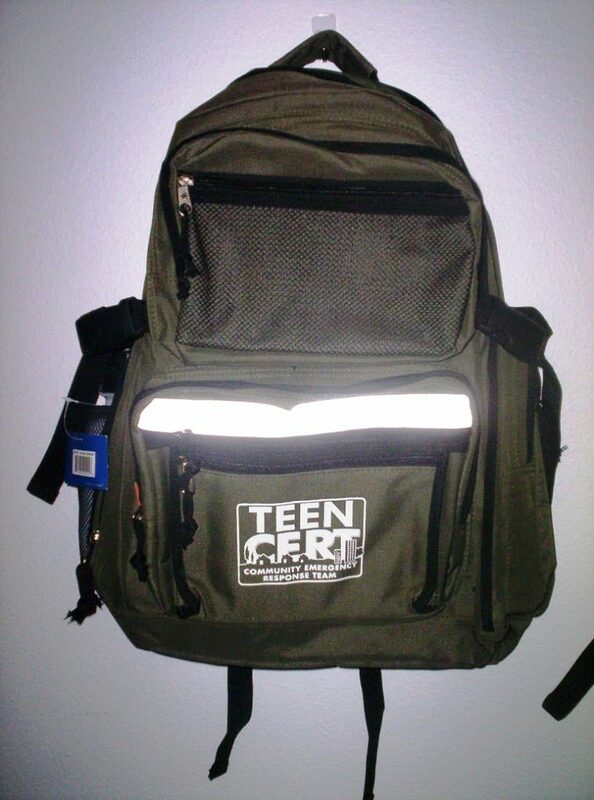 PLEASE NOTE: This backpack comes with the standard TEEN CERT graphic printed in white. For orders of 50 or more units the Graphic can be customized for minimal cost. 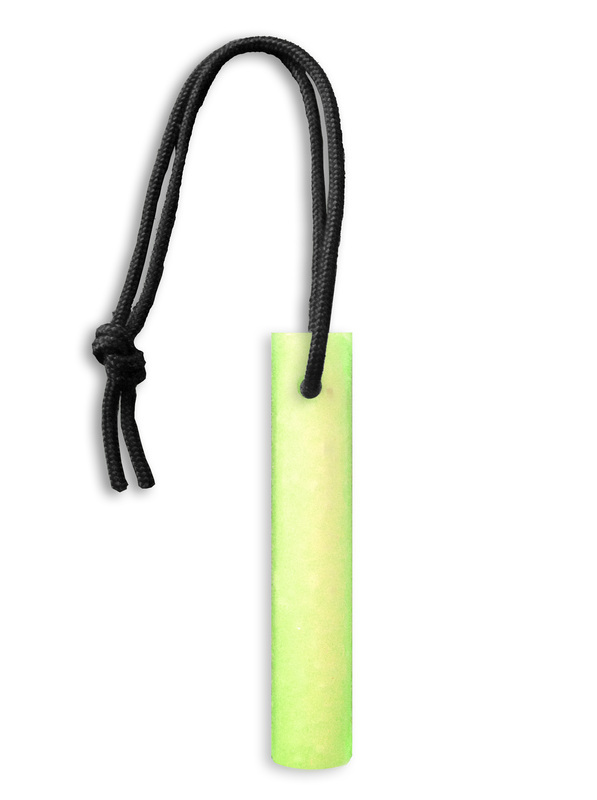 Blank versions in numerous colors are also available. Please contact us at 425-881-5354 for more information.